Our supramolecular team employs organic, coordination and organometallic synthesis to produce functional molecules and macromolecules. We are particularly interested in the design and preparation of shape-persistent macrocycles and metallomacrocycles as well as coordination polymers and highly ordered organic and inorganic frameworks that may find application in sensing, energy harvesting, gas storage, catalysis, reversible mechanical protection and aqueous metal sequestration. In the lab, we synthesize a wide variety of macrocycles differentiated by features as chemical composition (organic and metal-based), flexibility, shape, cavity size, host performance, steric/electronic properties and stimuli-responsiveness. Overall, these macrocyclic species can either: 1) self-assemble to generate nanostructured materials such as fibers, tubes and sheets, 2) accommodate organic guests, 3) coordinate to metal centers to produce metallocavitand complexes, 4) function as electrochemical and photoluminescent probes in permanently interlocked molecules or 5) produce an active effect over dynamic processes such as ligand exchange and polymer growing. Our materials team is interested in the fabrication of new classes of materials to explore useful applications with an emphasis on efficiency and sustainability. 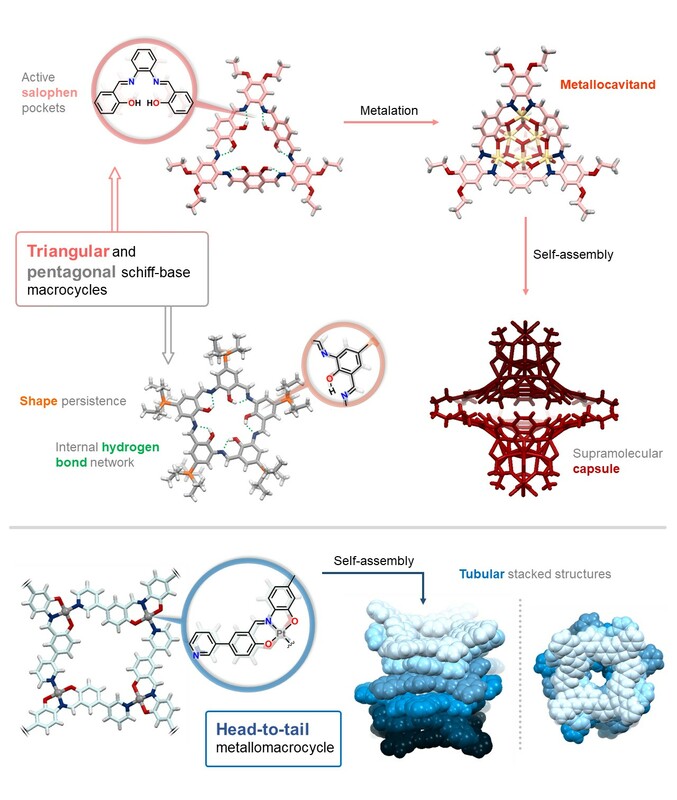 Our inspiration is focused on studies of developing new synthetic strategies and understanding the foundation of supramolecular assembly and structural growth to enable the control of hierarchical organization, macro/micro/nano-structures, shape features, and functionability of outstanding materials. A keystone of our research is exploring new types of liquid crystals and their solid derivatives for use as either templates or precursors for constructing sustainable, periodic materials with exceptional properties. Remarkably, cellulose nanocrystals and chitin nanocrystals both self-assemble into lyotropic liquid crystals and membranes with chiral nematic structures. Through control over supramolecular guest-host interactions in hybrid assemblies, we are creating structural diversity of beautiful iridescent materials with chiral nematic porous structures. 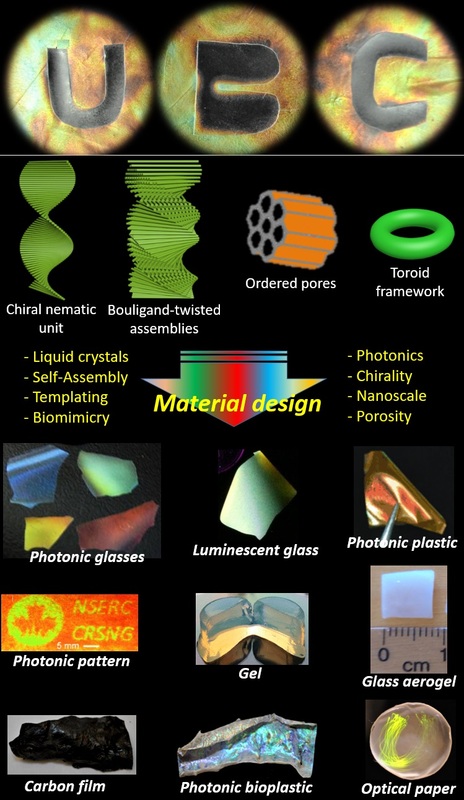 These outstanding photonic materials are glasses, plastics, hydrogels, aerogels, fibers, membranes, etc. that all can reflect light to appear rainbow colors. We are interested in the sophisticated phenomena of the supramolecular self-assembly of liquid crystals and chiral molecules, which are clues for material design.